Eeek! 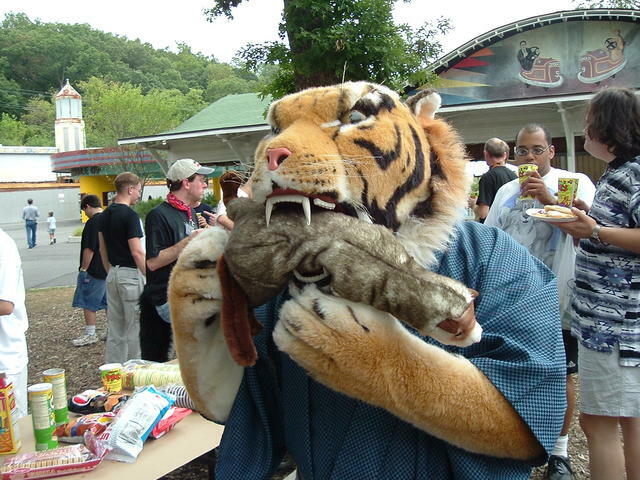 The tiger's eating Ike! He only looks boneless! The bumper cars (background) is now a dance pavilion with live music.